How to keep your car looking good as new? Everyone would love to keep their car good looking and new for an extended period. However, it is a dream for many due to the surrounding conditions and the dust / pollution around. But, there is a way that one can maintain their car and keep it looking good even after several years by choosing the best car workshop in Gurgaon. 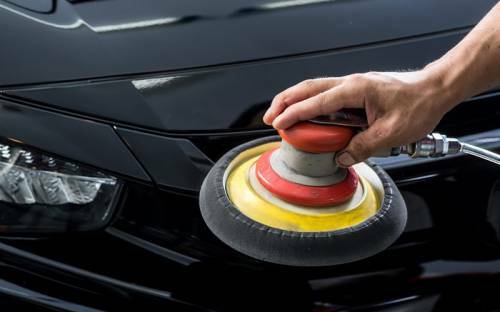 Apart from regular maintenance, car detailing is one way through which you can ensure that the car appears as good as new even after several years. At our workshop, we do offer services that come as an added feature, where the owner can opt for specific car detailing services. The specialized services include washing, dry cleaning, waxing, rubbing and polishing. All these three services ensure that the exterior of the vehicle remains intact and the pollution or grime does not reduce the shine of the outer body. The external treatment helps in maintaining the appearance and excitement of your car. The specialized treatment helps in protecting the color of the vehicle and protects it from harmful sun rays and pollution. It also helps remove minor scratches and even tones the color and brightness of the vehicle, thus giving it new shine. Interior treatment helps in ensuring that the cabin is free from pollutants, germs, and dirt. Cabin hygienic safety is of immense help and safeguards the air from exterior pollutants. Dry cleaning helps remove stains from car seat, roof and doors. It ensures that the interior are fresh and looks new. Treatment to the under body protects the vehicle from rusting by using special chemicals that are water repellent and create a protective layer on the vehicle keeping it safe from rust. With everything in your hand at an affordable price, you do have the chance to retain the good looks of the vehicle for a long period. Pitcrew recommends availing detailing services once every year for your car.